! The truck got the looks of a typical Macho Guwapito hunk in steroids! If car enthusiasts always uses a “lady” to describe their cars, they can’t do it with the Colorado, this car isn’t a girl for sure! so many guards that i can not complete a quarter mile speeding. Hehe. 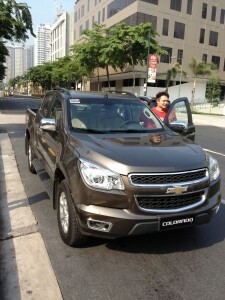 According to Chevrolet North Edsa, the pick up truck has a long queue specially the 2.5 liter Manual Transmission. The Golden Ribbon in bronze! 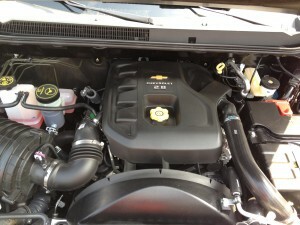 2800cc Muscular Engine of the Chevrolet Colorado. I’ll provide a suggested Insurance Premium per Model Make of the Colorado as your guideline in purchasing a comprehensive car insurance. Prices may vary depending on your insurance agent or Chevrolet dealership. *This post should be posted pre-launch of the Colorado but i had to seek permission from TCCI, the distributor of Chevrolet in the Philippines. 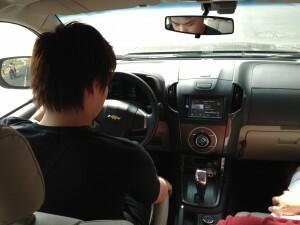 Which i just got today, special thanks to Ms. Selene Yu and Mr. Joseph Borromeo. For More infos on the Chevrolet Colorado, you may email me and i can send you a detailed specifications and i might hook you for a test drive!